What began as a Washington D.C.-based A&W Root Beer stand in 1927 eventually grew to be the Hot Shoppe Restaurants, and by the mid-1950s, a hotel business known as Marriott. The company–based in Maryland since 1955, proved to be an innovator early on–opening the world’s first motor hotel in 1957. Ever since, Marriott has continued to break the mold and strategically expand. From the 1960s through 2011, the company continued launching new brands, including AC Hotels, SpringHill Suites and TownePlace Suites; and acquiring existing brands including ExecuStay and Residence Inn. Arne Sorenson, the company’s third CEO and first without the Marriott surname, took the reins in 2012. Under Sorenson’s leadership, Marriott’s innovation and growth-focused legacy is evolving. Marriott is #163 on the Fortune 500 List.?? 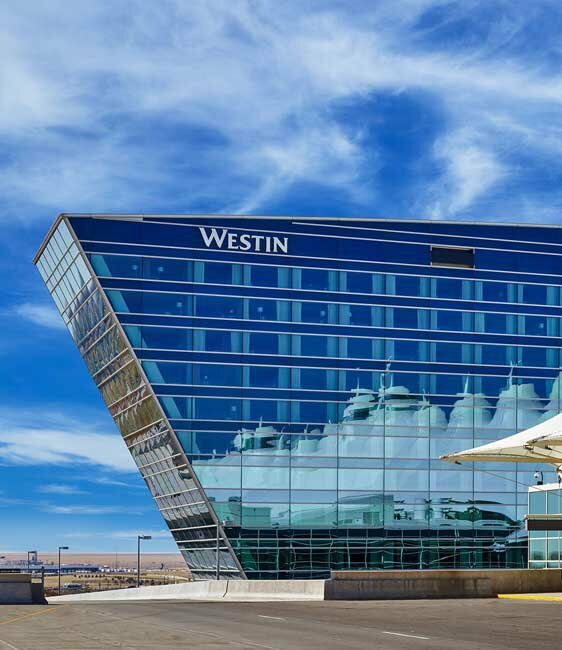 “We like to be on top, for sure,” Sorenson told Hotel News Now in 2015. And on top Marriott is. In 2016, the company finalized a $13.6 billion acquisition of Starwood Hotels & Resorts, adding iconic brands such as St. Regis, Westin and Sheraton to Marriott’s offerings. The acquisition made Marriott the world’s largest hotel company, with more than 5,700 properties offering more than 1.1 million rooms across 30 brands in 110 countries. 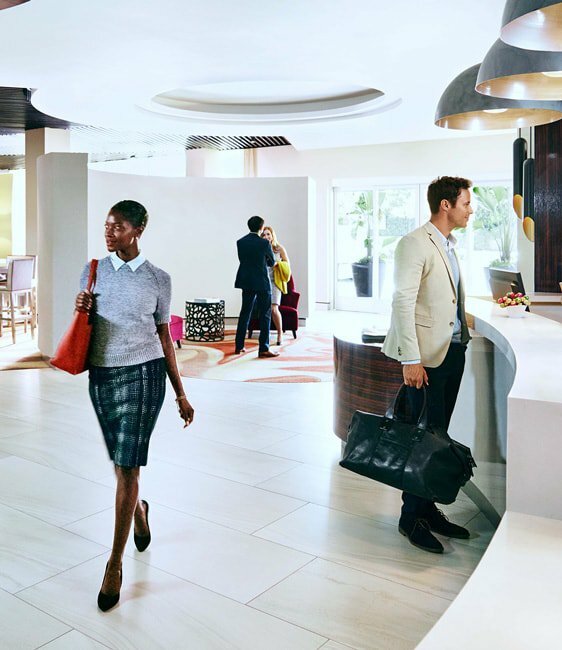 The acquisition of Starwood allowed Marriott to offer an even more comprehensive portfolio and establish loyalty among consumers like never before. 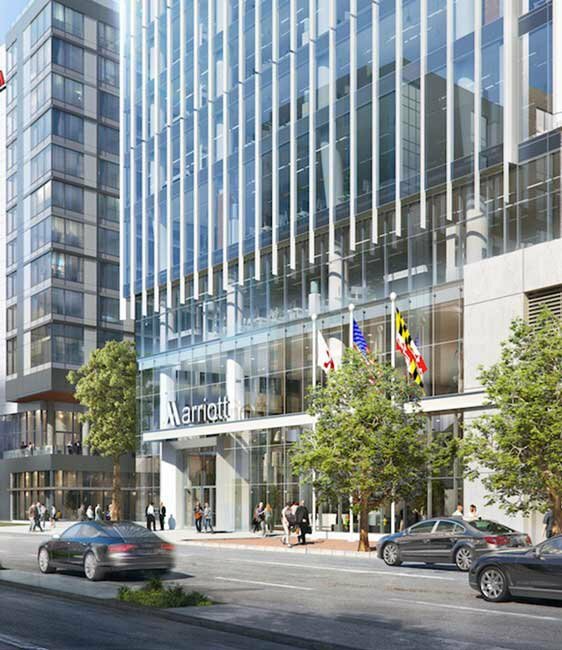 In late 2016, on the heels of its Starwood acquisition, Marriott reaffirmed its commitment to being based in Maryland. The company announced a new state-of-the-art, $600-million facility in downtown Bethesda. The new complex will house more than 3,500 employees in approximately 700,000 square feet of leased office space starting in 2022. “Our goal is to provide a cutting-edge workspace for our associates that offers state-of-the-art technology, modern amenities, and access to a range of transportation options," said Sorenson. At the 2017 Maryland Business Summit, Sorenson spoke about the new headquarters, and Maryland’s role in helping the company retain talent as it continues to grow within the state. Despite a new headquarters and other successes, the biggest hotel brand in the world doesn’t self-congratulate and follows a “success is never final” mantra, said Sorenson in a 2017 interview with Reuters. “There’s so much that we have yet to accomplish, and we’re not claiming victory,” said Sorenson. Using advanced manufacturing technology, this Havre de Grace company is building on its legacy in protective footwear. In public health crises, Emergent BioSolutions stands ready to respond. See how this company protects from infectious diseases from its Maryland HQ. Let's Talk Business Learn more about what Maryland has to offer for your business. Check out our Resources page, then contact a representative for one-on-one assistance.